This year, we were sponsors of the Scholastic Art Awards in Colorado. We presented the Schacht Weaving and Textile Arts Award to Nina Marasco, a student at the Denver School of the Arts, for her mixed-media piece that incorporated fibers in a thoughtful manner. Congratulations again Nina! In honor of our 50th Anniversary, we’ve commissioned SweetGeorgia Yarns to dye us a special commemorative colorway! Introducing Barry’s Jubiliee! This sumptuous fiber is an 85/15 blend of Polwarth and tussah silk. Space dyed in our 50th anniversary color palette, this is a delight to spin. 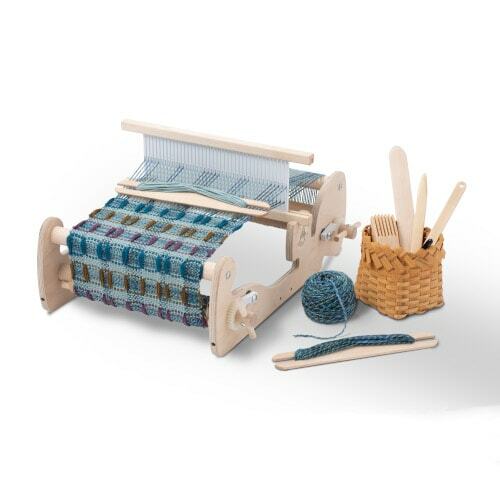 Join our spin along in June, where we’ll be using this limited edition fiber to create stunning yarn!